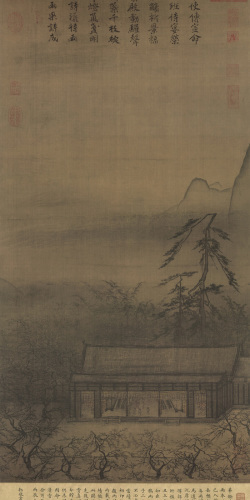 Ma Yuan (馬遠, ca. 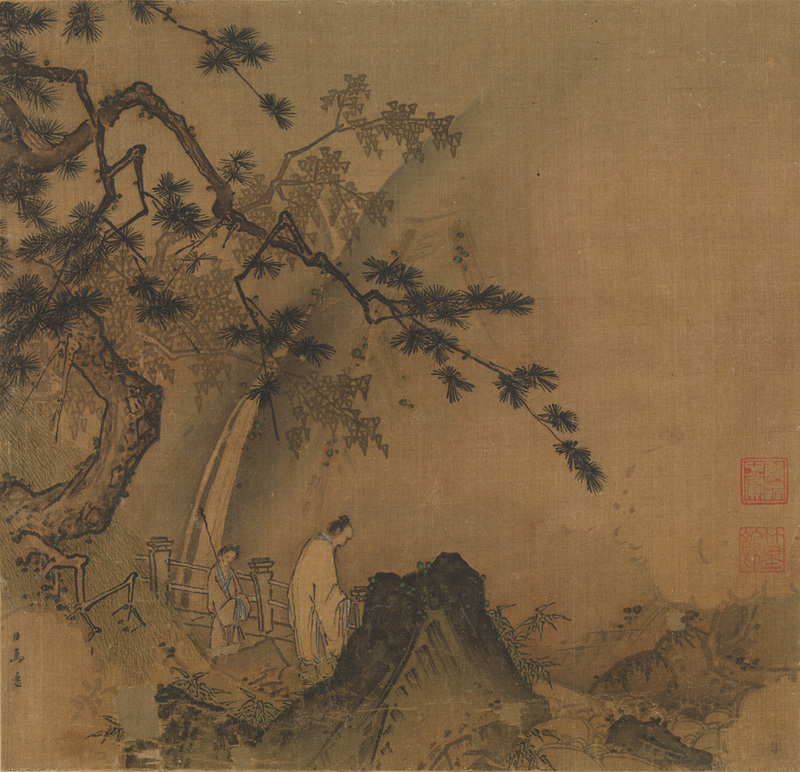 1160–1225) was an influential Chinese landscape painter of the Song dynasty whose work, together with that of Xia Gui (夏珪), formed the basis of the Ma-Xia School of painting. 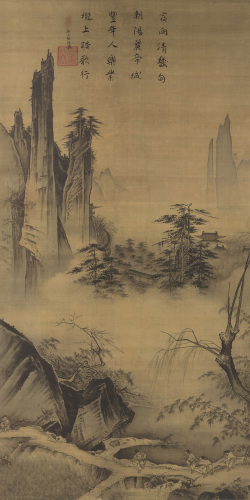 Ma Yuan came from a prominent painting family. 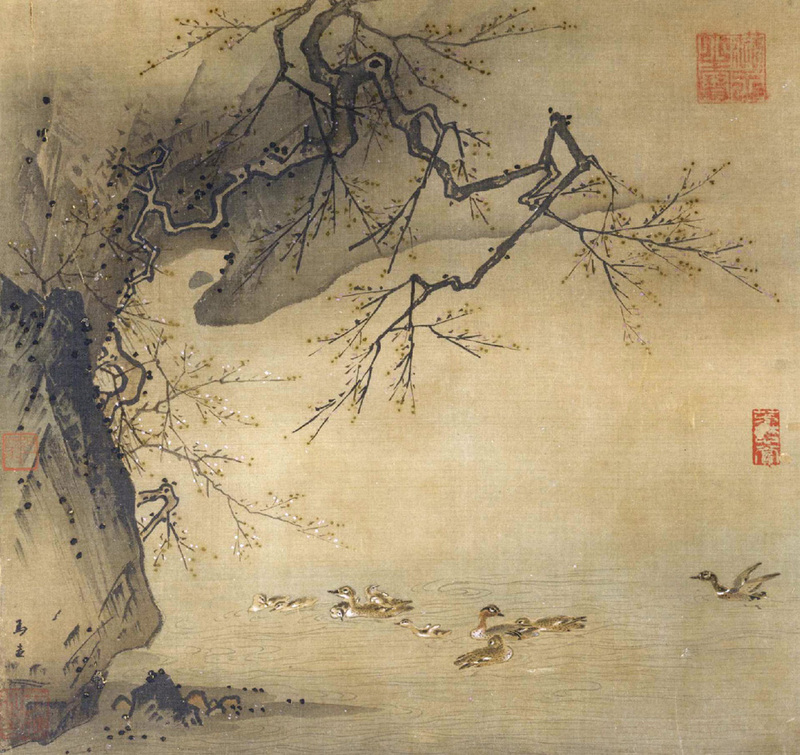 His grandfather, father, uncles, and son all served in the imperial Painting Academy. Ma occasionally painted flowers, but his genius lay in landscape painting. 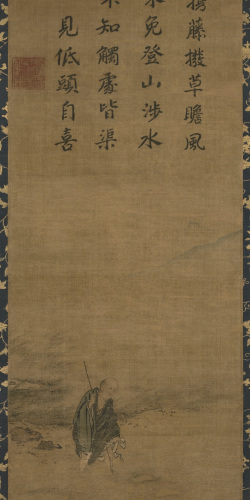 His technique, like that of many contemporaries, was at first inspired by Li Tang (李唐). 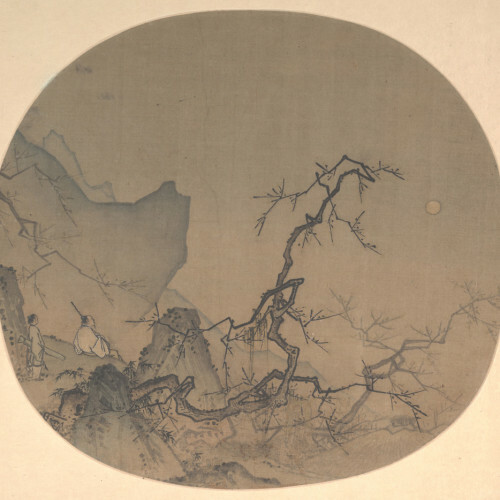 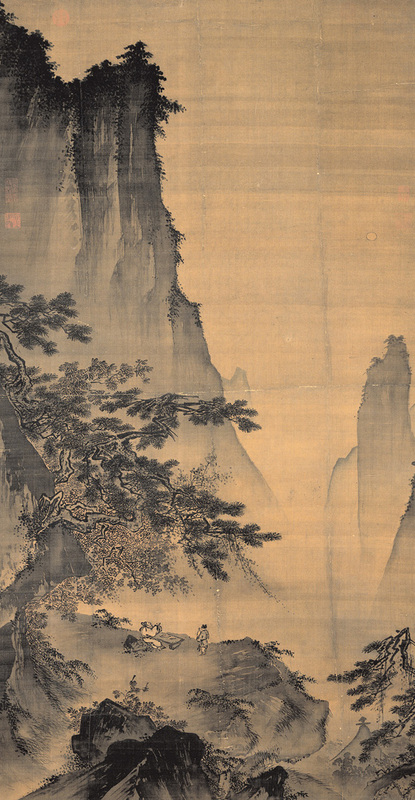 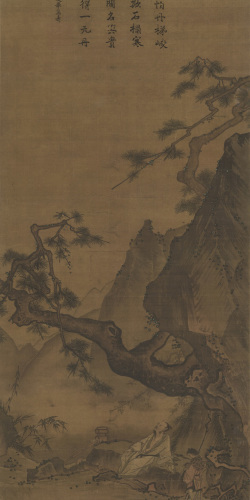 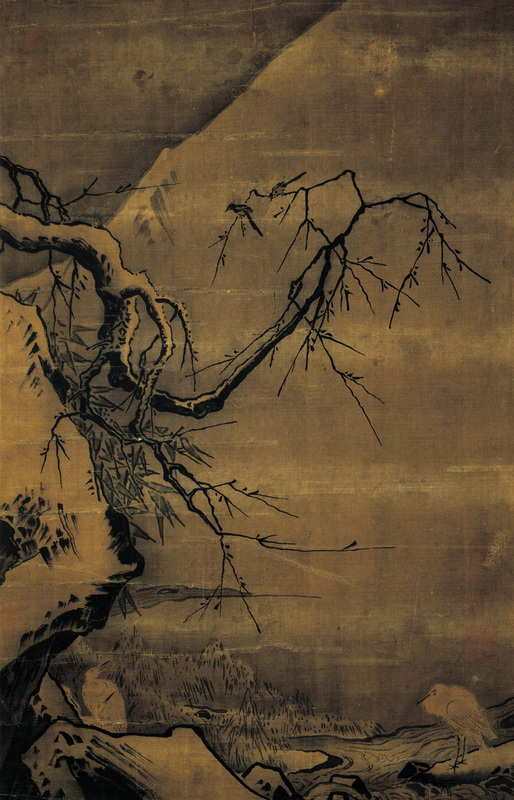 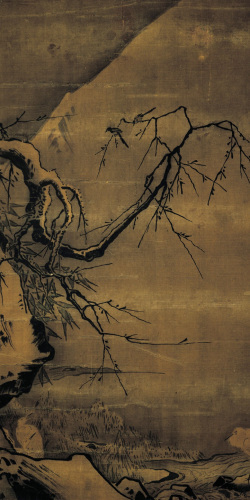 Eventually Ma Yuan developed a personal style, with marked decorative elements such as the pine. 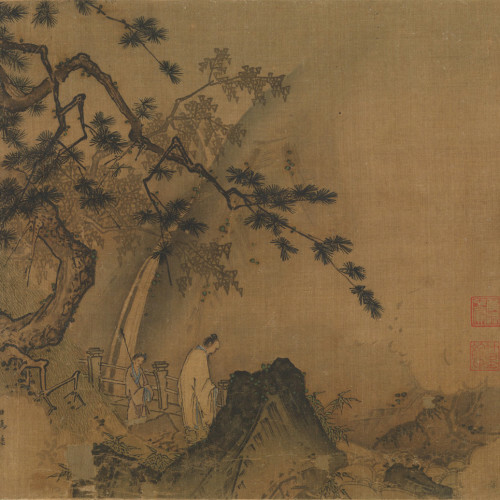 A characteristic feature of many paintings is the so-called “one-corner” composition, in which the actual subjects of the painting are pushed to a corner or a side, leaving the other part of the painting more or less empty. 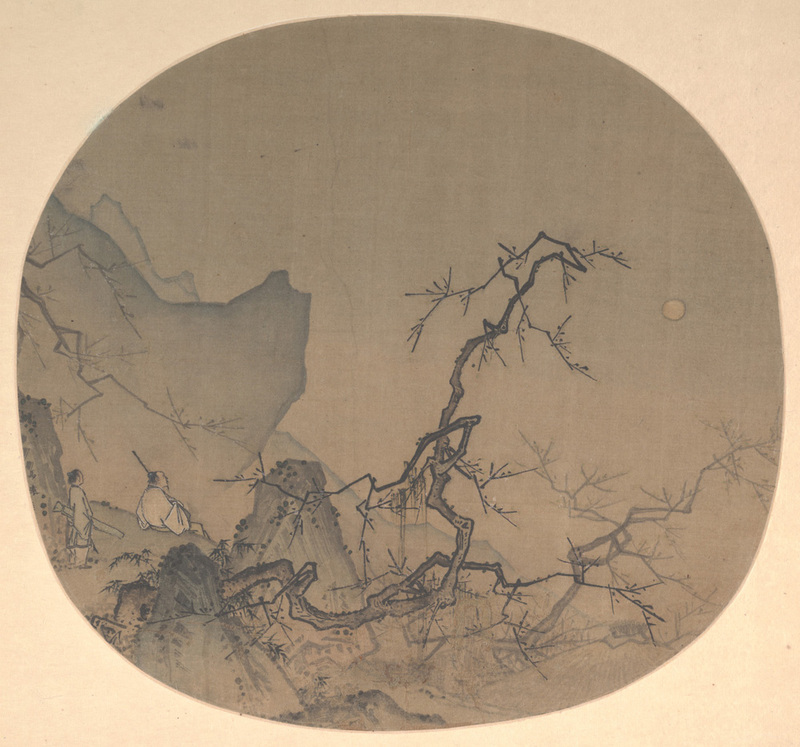 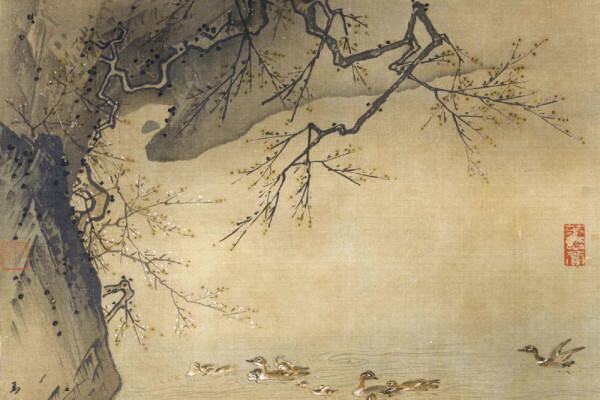 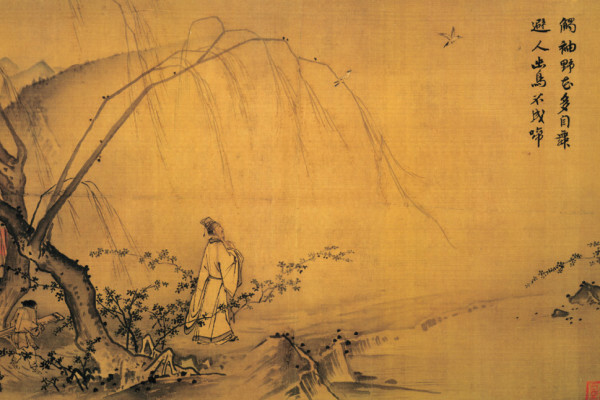 Ma Yuan’s lyrical and romantic interpretation became the model for many later painters.